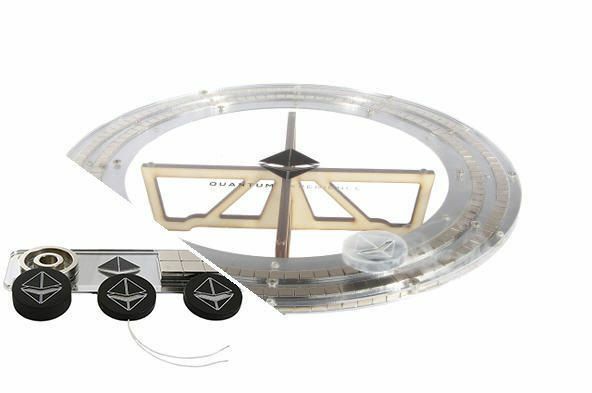 Experience Quantum Levitation with this portable, light weight and easy to use maglev track. The track uses super-strong NdFeB magnets in a unique double rings design to achieve maximal levitation height. Demonstrate frictionless motion in both levitation and suspension. 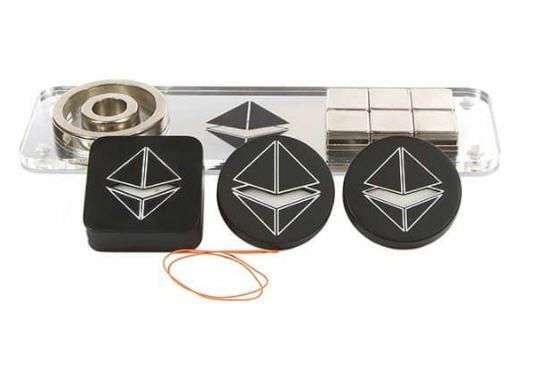 The handheld magnetic device (Starter Kit) can be passed around for a captivating hands-on experience. Excellent for science demonstrations in schools and universities, undergraduate and high-school experiments in quantum and classical physics (energy conservation, harmonic oscillator). The Starter Kit is the most fundamental, entry level for classroom demonstration of Quantum Levitation and Flax Pinning. Perfect for high-school students as well as university undergraduates; the kit is easy to use, highly durable and portable. Use the rectangle magnetic setup to witness the Quantum Locking phenomena and the round magnetic setup to demonstrate frictionless motion. When used with the new resistance thermometer equipped Ed levitator, the handheld magnetic device serves as a unique experimentation platform where quantum phenomena such as the Meissner effect and flux pinning can be investigated.